Planning to move goods from, to or through the Gem State? FRC Logistics can help to make the process quicker, smoother and more affordable. Why not try our simple instant online quotation tool today for pricing and availability of full and partial truckloads? Despite its landlocked position, western Idaho has a primarily maritime climate, tempering the potential severity of the winter weather in this northern state. The south and east of the state have a semi-arid climate, similar to that of central states on the plains. Most of Idaho, particularly its centre, is covered by forest. The major road networks serve the far south, north and east of the state, with the centre and west relying primarily on state road networks. Idaho isn’t nicknamed the Potato State for nothing. It still produces a third of the potatoes consumed in the USA. Throughout its history—the early French-Canadian trapper influence in place names is obvious—Idaho has also supplied lumber and forestry products and is abundant in natural resources, in particular, gem stones. In recent years, Idaho has expanded its science and technology sector, and today it is home to the Idaho National Laboratory, which manages and stores nuclear waste. As a result, the state is experienced in handling the transportation of hazardous materials on its roads. Idaho shipping companies are well placed for transporting goods across the northern and western USA. 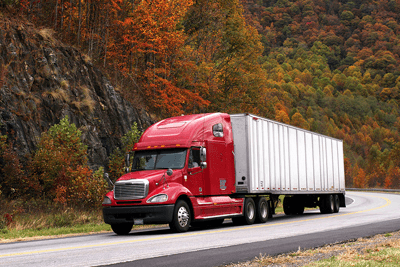 As well as providing regular freight trips to California and neighboring Utah, Idaho also trades extensively with near neighbors in the northeast, including Ohio, Illinois and Michigan. f an hour before sunrise to half an hour after sunset. Chains must be used when weather requires this on I-90 at Lookout Pass and the Fourth of July Pass and on state highway 12 at Lolo Pass. You can find permit applications and read more on Idaho’s trucking regulations on the state’s trucking site. 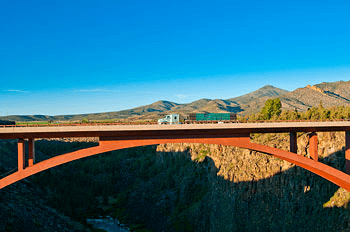 Internal or in-state trucking companies in Idaho with a GVW of less than 26,001 pounds do not require DOT numbers.  Overhang: 4’-0” in front and no more than 10’-0” at the rear.  Length: 110’-0” to 115’-0” depending on the use of two or four-lane highways. A pilot car is required for any vehicles on two-lane highways that are over 100’-0” long, 16’-0” high and 12’-1” wide. On Interstate four-lane highways, a pilot vehicle is required for vehicles over 115’-0” long, 16’-0” high and 15’-1” wide. 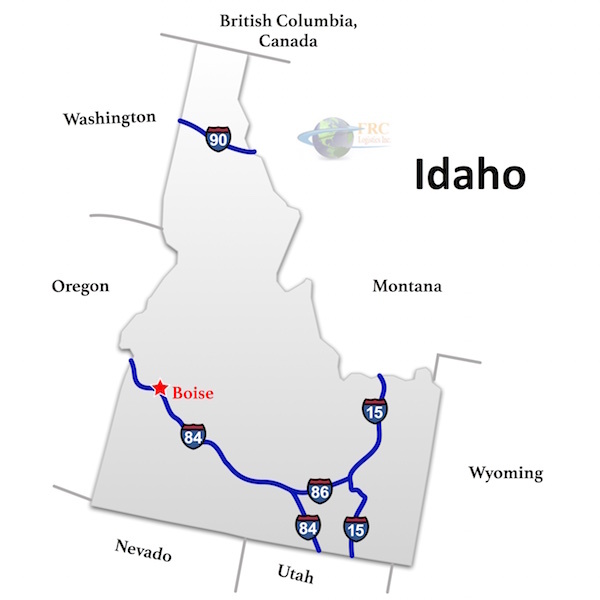 Idaho is connected by I-15, I-84, I-86 and I-90. I-90 cuts across the north of Idaho, connecting Washington and Montana. A small section of I-86 connects with the I-84 between Twin Falls and Pocatello, connecting south-eastern Idaho to Utah. I-84 joins state capital Boise to Portland in Oregon and southern Washington State. I-15 is perhaps the most used internal interstate for Idaho freight companies, connecting the I-90 in the north with the I-84 in the south, via Idaho Falls, Butte and the beautiful Beaverhead National Forest. A network of state roads encircles the central forest. FRC Logistics’ free, instant online quote generator is quick and simple to use and can provide quotations from trucking companies in Idaho and throughout the USA.